Comparative analysis of ear-hole closure identifies epimorphic regeneration as a discrete trait in mammals. Title Comparative analysis of ear-hole closure identifies epimorphic regeneration as a discrete trait in mammals. Why mammals have poor regenerative ability has remained a long-standing question in biology. In regenerating vertebrates, injury can induce a process known as epimorphic regeneration to replace damaged structures. Using a 4-mm ear punch assay across multiple mammalian species, here we show that several Acomys spp. (spiny mice) and Oryctolagus cuniculus completely regenerate tissue, whereas other rodents including MRL/MpJ 'healer' mice heal similar injuries by scarring. We demonstrate ear-hole closure is independent of ear size, and closure rate can be modelled with a cubic function. Cellular and genetic analyses reveal that injury induces blastema formation in Acomys cahirinus. Despite cell cycle re-entry in Mus musculus and A. cahirinus, efficient cell cycle progression and proliferation only occurs in spiny mice. 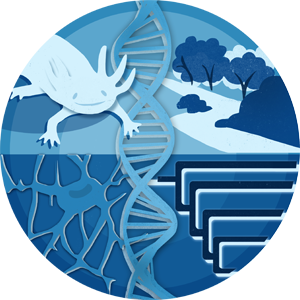 Together, our data unite blastema-mediated regeneration in spiny mice with regeneration in other vertebrates such as salamanders, newts and zebrafish, where all healthy adults regenerate in response to injury.